Looking for a ride to Pier 39? Let National Charter Bus be your primary transportation provider to the ultimate entertainment destination in the heart of The City. We’ll pair your group with the right bus that caters to your needs. Our team believes that a private charter bus rental will help your group stay together, avoid long waiting lines and unnecessary parking fees that can put a dent in your wallet. Explore your options and book your charter bus today to the most popular destination in San Francisco. Call us at 415-226-7853 for a free, no obligation quote! In a city surrounded by the blues of the Pacific Ocean and the warmth of the Northern hemisphere, Pier 39 is arguably the hottest tourist attraction. It consists of two levels of dining, entertainment, shopping and attractions at the Pier and along the San Francisco Bay. 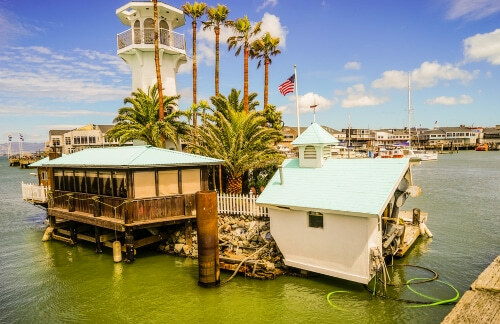 It is also home to the famous two-story carousel that glistens in the distance, and the adorable Sea-Lebrities who are living their best life on their makeshift tanning beds. 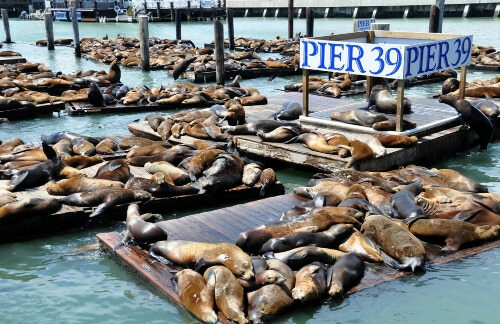 The family-oriented, kid-friendly ambiance of Pier 39, makes it a beloved destination for all visitors around the world. From a distance, one can see the magnificent bay skyline consisting of Angel Island, Alcatraz, Golden Gate Bridge and Bay Bridge which is truly a sight for sore eyes. With so many sites to see, it is crucial to plan your trip beforehand in order to truly enjoy your experience. In a city as overcrowded and expensive as San Francisco, parking fees can reach exorbitant levels. Despite being open 24/7, the Pier 39 Garage charges $10 per hour on the weekdays, with a maximum daily rate of $50. While on the weekends, the amount increases to $12 per hour, with a maximum daily rate of $60. Even though rates are subject to change, spending a large sum of money on parking can usually put a damper on your plans. In order to avoid blowing your money before the day has even begun, book your group transportation through National Charter Bus and take advantage of our discounted prices and deals. The buses come in 18-, 20-, 25- and 56-passenger models that can accommodate a variety of group sizes. Large groups with corporate employees and VIP personnel should book the full-sized coach model, as this has spacious onboard cabin space to store briefcases and luggage. Smaller groups such as tourists on vacation should consider a minibus. With its compact interior and cushioned seats, families will be comfortable even if they’re halfway across the world. Groups of all sizes have a vast selection of amenities available on hand, such as accessible electrical outlets, AM/FM radio, air conditioning or heating, and a TV for onboard entertainment. Restrooms are also available in certain models, which will prove to be extremely helpful when traveling with young children. Every visitor agrees that Pier 39 truly lives up to the hype, so reserve a bus with our rental service to experience it for yourself. Hop on an eco-friendly catamaran and venture into the gulf to admire one of the largest marine species on Earth. This offers a chance to learn all about the natural history and wildlife of the San Francisco Bay. Witness over a 1,000 playful sea puppies frolic in the cool ocean water and bask underneath the warm sun. Due to the marina’s protected environment, they’ve grown in large numbers over the last few years. Walk through infinite hallways, endless circles and dead-ends in the most mind-bending maze in San Francisco. This infamous carousel was handcrafted in Italy and hand-painted with famous San Francisco landmarks including Golden Gate Bridge, Alcatraz, and the tourist favorite sea lions. It has over 1,800 twinkling LED lights and 30+ animals to ride! This combines the thrill of a rollercoaster with a state-of-the-art laser blasting game. With a massive movie screen and the newest 3D technology, you and your group are guaranteed to have a great time. 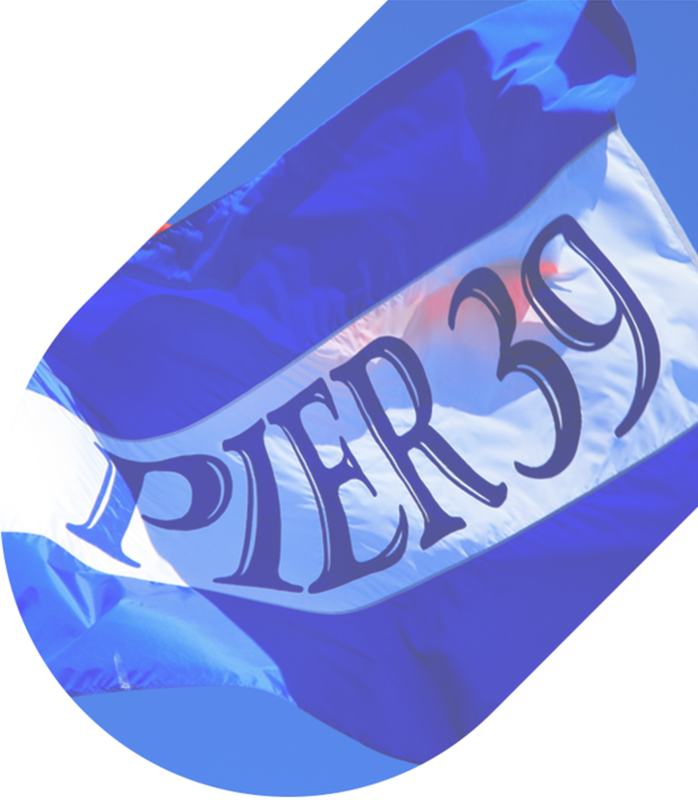 There are several options for dining at Pier 39. These include restaurants, eateries, sweet treats, snacks, to tasting rooms and happy hour spots. 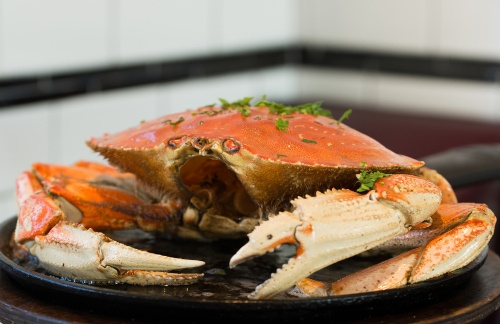 Our favorites include delicious homemade clam chowder, tacos from Mango’s Taqueria & Cantina, and happy hour spent at Bubba Gump Shrimp Co.-- the perfect place that captures the charm of the American spirit. Don’t forget to eat dessert at the Crepe Cafe and Chocolate Heaven! There are great places to shop for tourists and locals, from tiny boutiques to popular franchises. A couple of cute, trendy places include the San Francisco Salt Company for handmade artisan bath salts, The Spice & Tea Exchange for the finest gourmet teas and seasonings, and Only In San Francisco for all your Bay Area souvenirs. 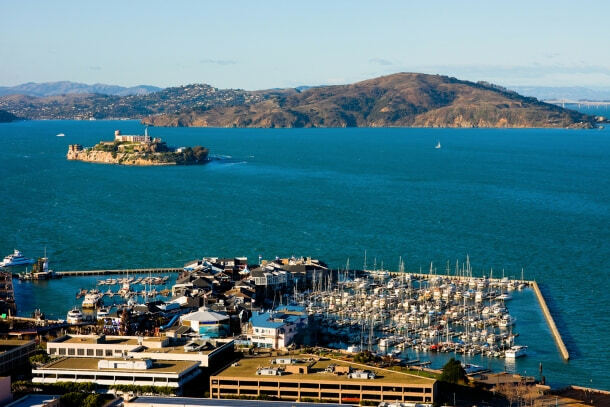 Exploring Pier 39 in a day is possible if you book transportation with National Charter Bus. Your driver can facilitate pick-ups and drop-offs with ease, while you relax in your reclining seats with ample room to stretch after your trip. In addition to San Francisco, our charter bus rental service offers transport in other states along the West Coast, such as Los Angeles, Las Vegas, San Diego, and San Jose. Contact our friendly and knowledgeable customer service representatives at 415-226-7853 to get assistance in planning your itinerary!